Manganese is a transition metal, and an essential trace nutrient in all forms of life. The majority of manganese goes toward the production of steel. Domestic Production and Use: Manganese ore containing 35% or more manganese has not been produced domestically since 1970. Manganese ore was consumed mainly by eight firms with plants principally in the East and Midwest. Most ore consumption was related to steel production, directly in pig iron manufacture and indirectly through upgrading ore to ferroalloys. Additional quantities of ore were used for such nonmetallurgical purposes as production of dry cell batteries, in plant fertilizers and animal feed, and as a brick colorant. Manganese ferroalloys were produced at two smelters. Construction, machinery, and transportation end uses accounted for about 28%, 9%, and 8%, respectively, of manganese demand. Most of the rest went to a variety of other iron and steel applications. The value of domestic consumption, estimated from foreign trade data, was about $1.1 billion. Recycling: Manganese was recycled incidentally as a minor constituent of ferrous and nonferrous scrap; however, scrap recovery specifically for manganese was negligible. 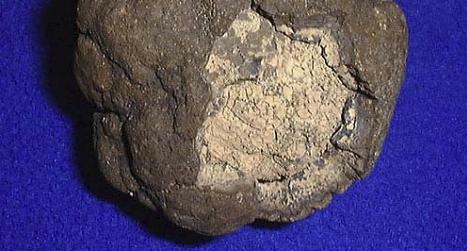 Manganese is recovered along with iron from steel slag. Import Sources (2006–09): Manganese ore: Gabon, 54%; South Africa, 17%; Australia, 12%; Brazil, 6%; and other, 11%. Ferromanganese: South Africa, 52%; China, 21%; Republic of Korea, 7%; Mexico, 5%; and other, 15%. Manganese contained in all manganese imports: South Africa, 35%; Gabon, 19%; China, 11%; Australia, 8%; and other, 27%. Events, Trends, and Issues: The global economic recovery, as measured by the expansion of global gross domestic product (estimated to increase by 2.7% from that of 2009 by the World Bank), coincided with the growth in the manganese market during 2010. U.S. steel production in 2010 was projected to be 38% more than that in 2009. Imports of manganese materials were significantly more in 2010 than in 2009--82%, 104%, and 139% more for manganese ore, ferromanganese, and silicomanganese, respectively. As a result, U.S. manganese apparent consumption increased by an estimated 66% to 720,000 metric tons in 2010. The annual average domestic manganese ore contract price followed the increase in the average international price for metallurgical-grade ore that was set between Japanese consumers and major suppliers in 2010. However, U.S. average weekly spot prices for high-carbon ferromanganese and silicomanganese through October 2010 were 16% lower than and about the same as, respectively, those at the start of the year, owing to higher inventory levels caused by domestic manganese material production increases and greater ferromanganese imports. Improved economic conditions led to planned expansions at five manganese mines and about 1,400,000 metric tons per year of additional manganese ferroalloy production capacity worldwide in 2010. World Resources: Land-based manganese resources are large but irregularly distributed; those of the United States are very low grade and have potentially high extraction costs. South Africa accounts for about 75% of the world’s identified manganese resources, and Ukraine accounts for 10%. Substitutes: Manganese has no satisfactory substitute in its major applications. Anglo American (NASDAQ: AAUK) - The South African mining conglomerate owns 40% of Samancor, the largest producer of manganese ore and alloys. Guizhou Redstar Developing Dalong Manganese Industry Co.
Vale (NYSE: VALE) - leading manganese ore and ferroalloy producer in Brazil, produced 2.4 Mt of manganese ore in 2008. 2011-06-14 - (rin) - Is Chinese manganese supply shrinking?